The outpouring of support for Haiti that we have seen throughout the blogging community is astounding. Everywhere we turn, it seems, another fundraiser... another campaign for aid... more hope for Haiti. But what about the hundreds of thousands of orphans amidst the chaos? This is something very close to our hearts. Julie and Heather M. have both talked about their friend, Kristen Howerton, on their own blogs over the past week. You see, Kristen was actually in Haiti last week during the earthquake, visiting her son, who her family has been in the process of adopting for years. Like so many others who were nearing the end of this agonizing process, the future is now even more uncertain, as the government buildings processing adoptions have been destroyed. Can you imagine the devastation Kristen felt when she was finally evacuated home... without her son? Heartache. What hope do the families like the Howertons have? There may be an option for getting these kids safely home under humanitarian parole. The next mission of Project 320 is to desperately spread awareness about humanitarian parole. We are so thankful for YOU, part of our amazing team of supporters & prayer warriors. We can potentially make a huge impact here, and here is exactly how YOU can help- RIGHT NOW! All it will take is a bit of your time. We can all afford to give a few moments of our time. Please help us spread the word in any way you possible can! Thank you, friends. We need to make some noise to get our congressman and senators working on this. Please use any contact you have with immigration, attorneys, press, or anyone who might have influence to get our story out there and put pressure on the state department to intervene. The points are outlined below, followed by the contact info for some of our government officials. If you know of others, feel free to pass this along. The government buildings that were processing adoptions were demolished. Many government workers are feared dead. Orphans in Haiti are in grave danger, and yet have willing families in the US who can care for them. Children in orphanages are homeless. They are at risk of looting and robbery. Everyone in Haiti is at risk of food and water shortages and air-born disease due to the current situation. The local caregivers are focused on their own families, so the orphanage is short-staffed. Supplies are running low. The situation is desperate. THE SOLUTION IS HUMANITARIAN PAROLE FOR ADOPTIVE CHILDREN. These children have willing families to care for them and can be brought to the US for care. While granting a humanitarian parole is outside the normal procedures, the United States government has granted them in the past (e.g. Cambodia and Romania). THIS IS NOT AN EXPEDITED ADOPTION. 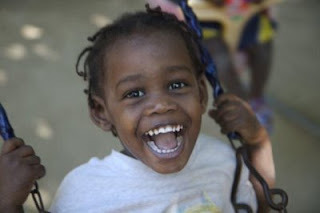 The adoption process is now completely incapacitated, but when it resumes the United States seeks to honor the adoption process established in Haiti. This is a humanitarian effort to care for these kids, and the adoption will be processed using the usual procedure at a later time. Humanitarian parole for adoptive children benefits everyone involved. The kids are moved to safety. There is no cost to the government because these children have families ready to care for them. This frees up the orphanages in Haiti to care for more children. It does not circumvent the already established adoption process. It is ethical and compassionate. I put it on my page at http://silkydogwood.blogspot.com/ but I don't seem to have it 100% right yet, it is showing up blank. Maybe it will work better for you. Thanks for bringing attention to the cause! and this is why i am friends with you. a heart of gold.